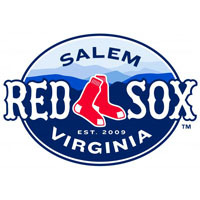 Lynchburg righthander Cody Martin continued his mastery of the Salem Red Sox lineup, while Dan Brewer doubled in the ninth inning to complete the cycle in just his ninth game with the Hillcats, and Salem was soundly beaten 9-3 on Sunday afternoon at LewisGale Field. The Hillcats hit three home runs against Sox starter Matt Barnes and four dingers overall, while the Red Sox crushed three separate solo shots in the ninth inning against reliever Matt Chaffee to break up the shutout. Sixteen days over dealing a two-hit shutout with 14 strikeouts against the Red Sox, Martin dazzled again, punching out nine and permitting just one hit in seven scoreless innings. Adalberto Ibarra’s single to begin the sixth inning was Salem’s only hit against Martin, who improved to 11-7 on the season and lowered his ERA to 3.02. Meanwhile, Barnes encountered a first-time nightmare, serving up three homers in his five frames on the mound on Sunday. The righthander had allowed only two homers in his first 94 innings on the mound this season. Barnes yielded a career-high seven runs, although only four were earned runs. He struck out nine and walked none, but the seven hits he allowed, five of which went for extra bases, handed him his fourth loss of the season. Brewer’s two-run bomb in the first inning triggered Lynchburg’s offense and jump started his career day. Brewer singled in the third, tripled in the fifth, struck out in the seventh, and doubled in the ninth to finish 4-for-5 with the first cycle against Salem this season. Bobby Stevens also homered against Barnes and went 3-for-4 overall, driving in a pair for the Hillcats. The Hillcats led 3-0 into the fifth, when James Kang’s fielding error prolonged the inning. Immediately after the error, Brewer tripled and Adam Milligan homered to make it 7-0. Chris Garcia belted a solo shot off reliever Charle Rosario to begin the sixth, and the Hillcats added one more off Rosario in the ninth, with Stevens singling home Edward Salcedo from third. Down 9-0 and owning just one hit heading to the ninth, Salem jacked three solo homers off Chaffee in the ninth. Felix Sanchez led off with his first bomb of the season, while Heiker Meneses launched the next pitch over the fence for his second of the year. After Brandon Jacobs flew out to right, Xander Bogaerts clobbered his 15th round-tripper to make the score 9-3. All three home runs were sent to left. Following the Bogaerts’ bomb, Chaffee retired the next two Red Sox to end the game and give the Hillcats a 2-1 series win. Lynchburg also completes a 12-8 season series victory over the Salem Sox, as the two 460 rivals won’t meet again in the regular season.